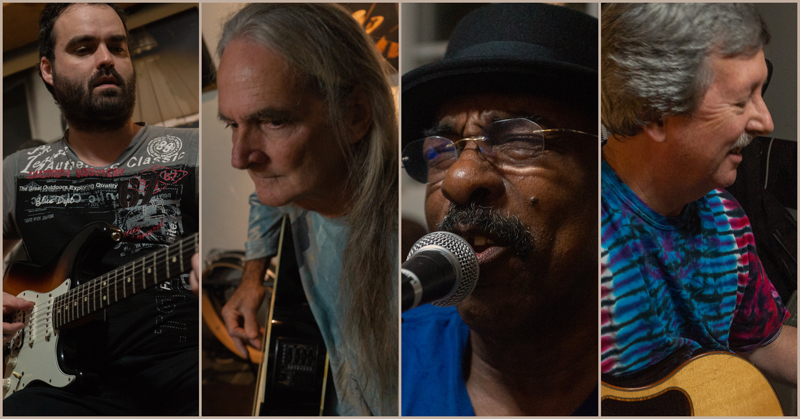 Mr. Armand said, “I am happy to announce that 4Time, a band comprised of Bermudian musicians Robert “Sai” Emery, Jeffrey Marshall, Ben Payne, and David Skinner will be opening for the Tony Award nominee Mary Bridget Davies in her tribute concert to Janis Joplin. A spokesperson said, “Robert ‘Sai’ Emery began singing professionally at age 13. He traveled through the US and Canada performing with various bands in the 1980s. Early bands for Sai were the Dimensions, the Arpeggios and Life Sentence which was a band started in 1971 and included Jeffrey Marshall and David Skinner. Sai is a singer, songwriter and percussionist, and one of his songs, ‘In Paradise’ is featured on the Ride The Wave II CD. “Jeff Marshall started in music at age 15 as a guitarist. He comes from a musical family including older brother Roddy, uncles Gene and Butch Ray, cousin Derek Morris and numerous other family members. Jeff changed to the bass guitar and moved away from Bermuda at age 18 to tour Europe and England with various bands. “He returned to Bermuda and became the bass player for the Milt Robinson Trio. Jeff has played with a variety of bands over the years crossing over many different genres. “David Skinner started learning to play guitar at age 14 in the hopes of becoming “the fifth Beatle”. Although that opening never materialized, David played with various bands in high school, returning to Bermuda from boarding school and joining the band Life Sentence with Sai in 1971. “David also played the local hotels and club scene in the early to mid 1970s, working with ‘The Alltogether’ and the Ray Onley Orchestra at the former Sonesta Beach Hotel. He continues to study and teach guitar along with the responsibilities of being the Chairma of the Board of Bermuda Festival. “Ben is the newest member of the group and has helped bring the average age of the band down close to 60. He hails from Canada and moved to Bermuda when he married his Bermudian wife Samantha. Ben is a graduate of Humber College in Ontario and has latterly been playing regularly with the Band Graffiti Park at Pickled Onion.